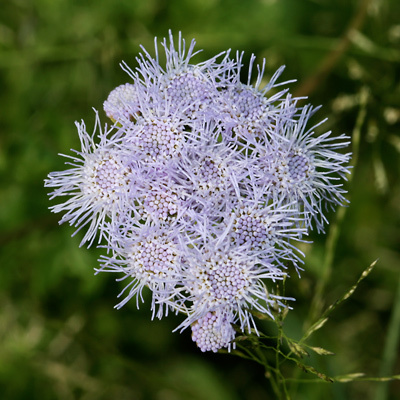 Synonyms: Conoclinium greggii, Eupatorium greggii. This species is still frequently known by both of these synonyms. Habitat: Upland. This wildflower grows in sun to part shade in the Chihuahuan Desert. Description: The rayless flower heads are clustered at the stem tips and have light blue to purple disk flowers with similarly colored, long, threadlike stigmas. 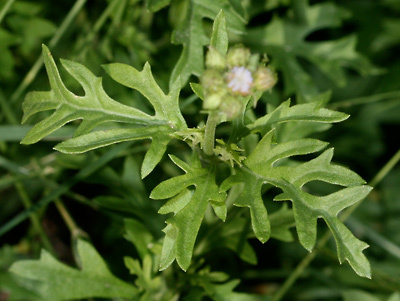 The leaves have a tapering leaf base and are green, minutely hairy, opposite, petiolate, egg-shaped to somewhat triangular, and deeply dissected or lobed with either pointed or rounded tips. The stems are erect to sprawling, green to brownish, and minutely hairy. The plants reproduce by seed or spread by underground rhizomes. The similar Ageratina herbacea, A. lemmonii, A. paupercula, A. rothrockii, and Koanophyllon solidaginifolium all have white or whitish flowers, while Ageratina wrightii, Ageratum corymbosum, Chromolaena bigelovii, Eupatoriadelphus maculatus, Fleischmannia incarnata, F. pycnocephala, and F. sonorae do not have cleft or divided leaves. Butterfly Plant – The flowers attract numerous butterflies, especially Queen (Danaus gilippus) butterflies. 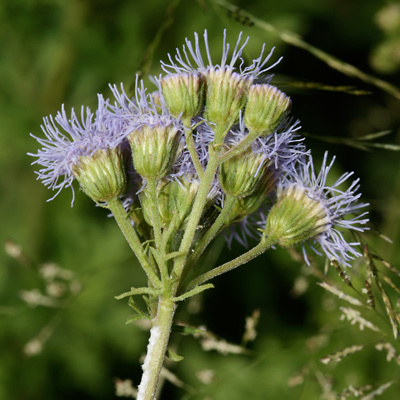 This is one of the very best plants for attracting butterflies.